I just love the colors of Laurel's creation.. it's simply stunning.. I love how she used the Background Basics for the heart and banner, and paired them with some words from the Priceless Joy set. 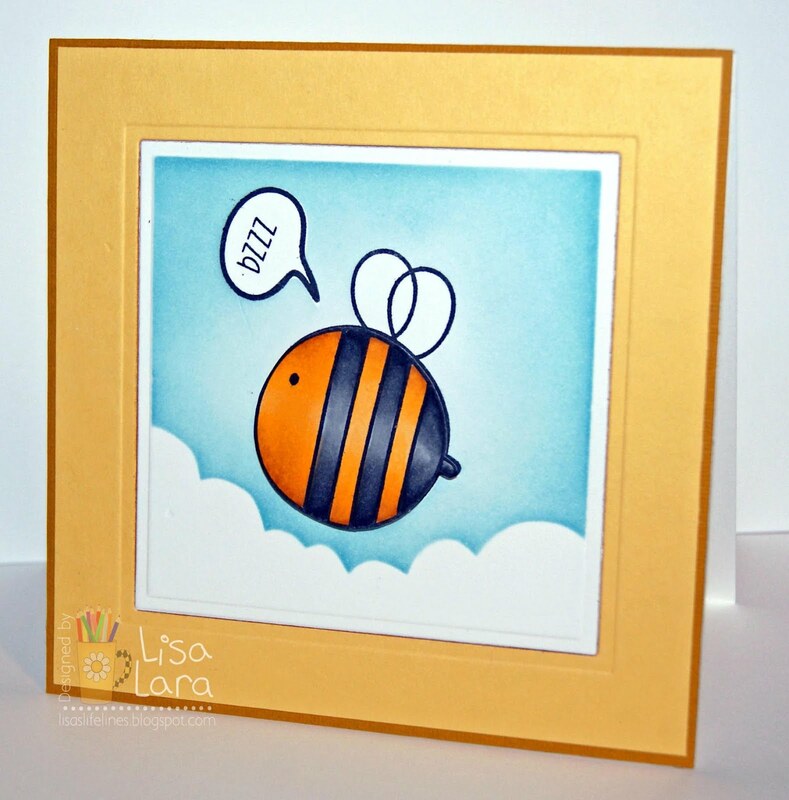 don't you just love the soft clouds Lisa created to make sure her bee was bzzzzzzzzzzzzzzzzzzzzing by. 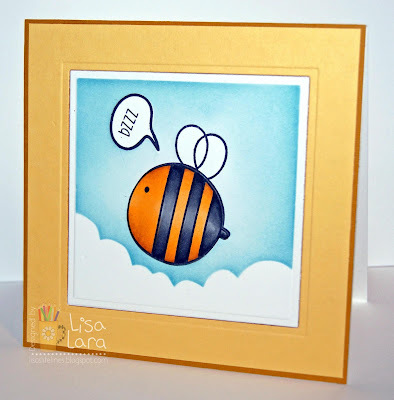 this fun bee from Priceless Joy. With the help of the new Talk To Me set this little bee is making sure everyone hears what it has to say! Cute cards Lisa and Laurel! !